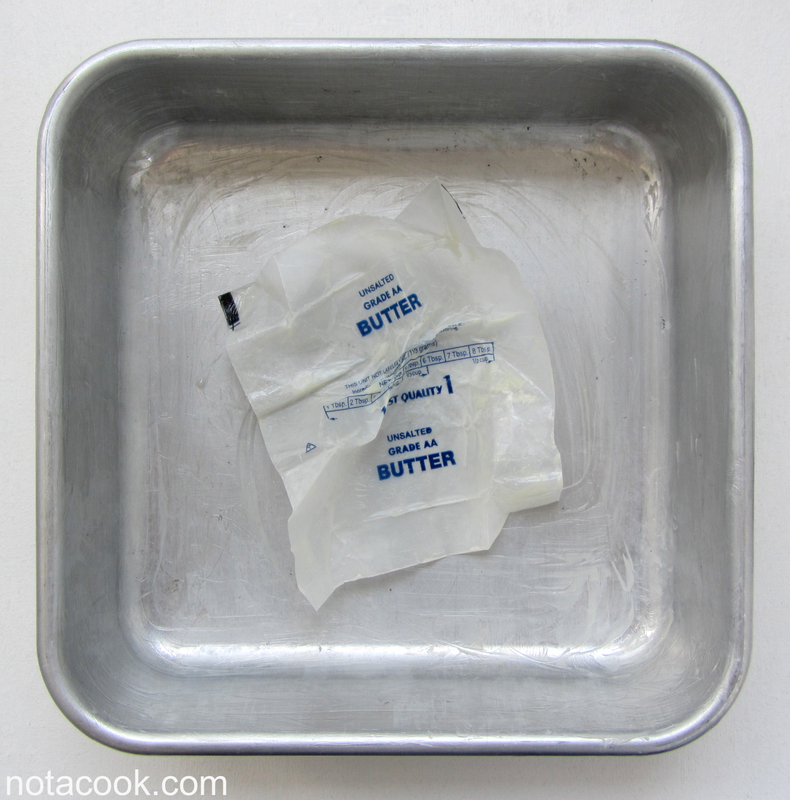 I wouldn’t call it breaking news but ask any and baker they will all tell you one of the best tricks up their sleeves is using the wrapping paper from sticks of butter to grease their baking pans. Unless specifically instructed otherwise, most baking recipes benefit the most from using butter softened to room temperature. The cleaner method of softening sticks of butter is to unwrap them first (wrapper peels right off – no muss, no fuss!). But what I’ve come to embrace is the slightly messier method of letting the butter soften in their wax paper casings and then using the wrappers to grease my cake pans and cookie sheets. Sure it requires a couple extra minutes in cleanup but the trade-off is, I rarely use cooking spray these days, which means no chemical propellants in my food, less empty cans in the landfill, and one less thing to buy at the supermarket. Oh, one last environmentally conscious bonus: the wax paper wrappers are also compostable!